Welcome to the PhyloSynth page. PhyloSynth is a collaborative group of scientists that aim to provide an updated framework and set of phylogenies for the plant tree of life. If you are interested in joining us, please contact us on phylosynth[at]gmail.com. The results of our first PhyloSynth workshop in October 2017 are now published in Early View! Eiserhardt, W.L., Antonelli, A., Bennett, D.J., Botigué, L.R., Burleigh, J.G., Dodsworth, S., Enquist, B.J., Forest, F., Kim, J.T., Kozlov, A.M., Leitch, I.J., Maitner, B.S., Mirarab, S., Piel, W.H., Pérez-Escobar, O.A., Pokorny, L., Rahbek, C., Sandel, B., Smith, S.A., Stamatakis, A., Vos, R.A., Warnow, T. & Baker, W.J. (2018). A roadmap for global synthesis of the plant tree of life. American Journal of Botany, early online. doi:10.1002/ajb2.1041. This paper will be part of an amazing special issue on “Using and Navigating the Plant Tree of Life”. We are pleased to announce a half-day Phylogenomics Software Symposium, which will be held at the Institut des Sciences de l’Evolution - Montpellier, on the University of Montpellier campus. This symposium will take place on August 17, the day before the Evolution 2018 meeting begins. The conference will include two sessions of invited talks and one session of contributed talks. The invited talks will describe recent breakthroughs in methods and software that address challenges in phylogenetics using large and heterogeneous sequence datasets. Contributed talks will be selected from submitted abstracts; these may also describe advances in software, novel challenges, or discoveries made using new methods. Travel awards are available, and registration in advance is required. 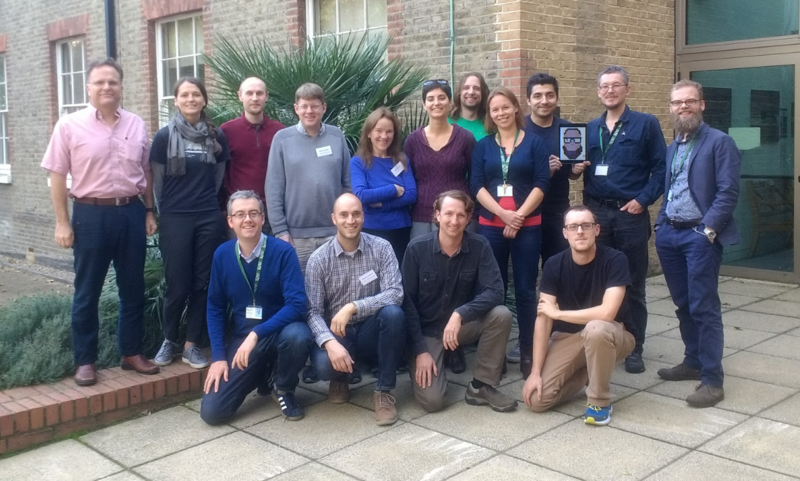 We had our first meeting at Kew in October 2017. Read the outcome of our meeting here.